One of the biggest topics surrounding aging in place is remodeling your home to meet your changing needs as you age. This type of design planning is based around a topic described as Universal Design– a home designed to meet changing needs. Specifically relating to Universal Design in housing, it centers around reducing hazards and making the home more friendly to limited mobility. While the checklists for remodeling for aging in place can be extensive, not every home will need every modification and sometimes what seems like the biggest changes, such as widening doorways, are some of the lower cost options. For example, widening a doorway may only cost a little over $100 in materials (labor will vary by region) but changing your bathtub to a walk-in tub and shower combination may run over $1,000. Working with senior housing specialists, such as an SRES, or aging in place consultant such as a certified aging in place specialist from the National Association of Home Builders, can help you determine exactly what needs to be done to your home to safely and comfortably age in place, and what the costs surrounding those changes will be. 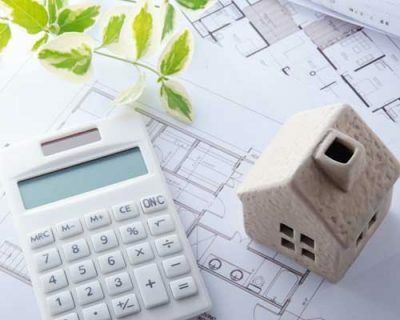 Depending on the age of the home and your expected needs, costs might require significant funds that could take a large chunk out of your savings or require other financing such as a second mortgage. However, paying for a significant aging in place home remodeling project should not feel like an impossible hurdle or require giving up on your other retirement plans. There are ways to finance your aging in place home modifications, including government assistance, to make the cost more manageable. Also, many states and regional non-profit organizations offer assistance to seniors wishing to age in place. Your local Area Agency on Aging should be able to assist you with finding local groups and programs to assist you in making home modifications. Once you know what modifications you want to make to your home, you’ll need to find out if any of the items could be considered Durable Medical Equipment (DME). For example, some types of ramps or stair lifts may be considered DME by your insurance and covered but the labor to install the ramp or stair lift would not be covered. There might also be situations where items considered DME would be covered on a temporary basis. In either event, a letter of medical necessity and prescription from your doctor will likely be available. There are also items you may need under DME that require specific remodeling such as widening doors for some mobility scooters. While lists of covered items can vary greatly, some examples of DME include commode chairs, hospital beds, patient lifts, mobility devices, certain prefabricated ramps, and lift chairs. For many seniors, their home is their biggest asset. In fact, for those over age 65 who own their home, home equity represents between 60 percent and 80 percent of their total net worth. Accessing your home’s equity may be an easy option for many to pay for aging in place remodeling. The two major types of mortgage options for financing aging in place remodeling are a home equity loan and a reverse mortgage. 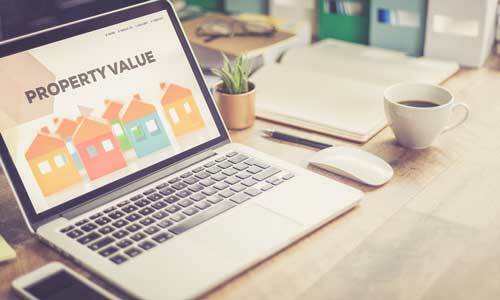 Home equity loans can actually fall into two categories. These are a home equity loan, where the lender provides funds up front, and a home equity credit line, where the borrower can draw funds as needed against the equity value. With both programs, your home is the collateral and if you do not repay the funds with interest and any fees, you could be legally forced to sell your home to repay the outstanding debt. Both of these equity loan types have fees such as transaction or annual fees, may have closing costs like a traditional mortgage, and interest rates may vary greatly between lenders. A reverse mortgage is a mortgage available to homeowners age 62 and over. Like equity loans, a reverse mortgage uses your home for collateral and the lender provides funds based on the equity in your home. However, instead of making monthly payments on the loan, interest and fees accrue each month until the homeowner stops living in the home. Once the homeowner moves or passes away, the loan plus all the fees and interest are due. Most reverse mortgages are only paid off by selling the home. A reverse mortgage also requires homeowners to pay property taxes and homeowner’s insurance on their own as well as maintain the property to prevent foreclosure. While a reverse mortgage may be a good choice in certain situations, because it is still relatively misunderstood by the majority of seniors, it is advisable to speak with a qualified counselor before shopping for a reverse mortgage. 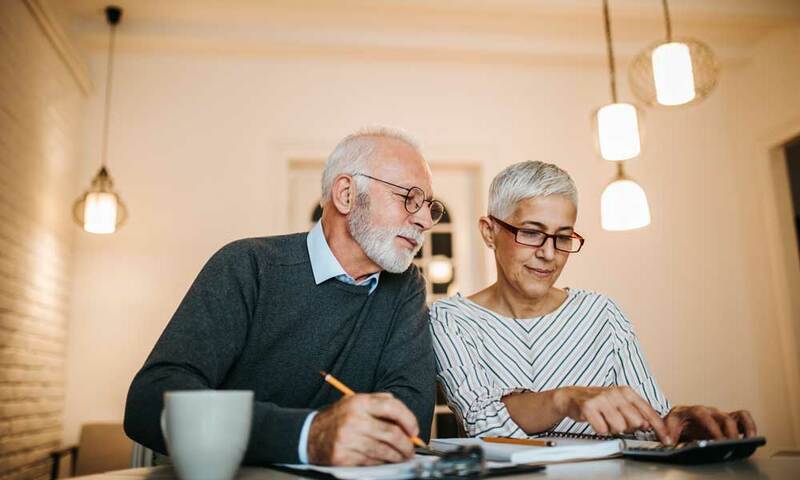 The Department of Housing and Urban Development (HUD) maintains an approved counselor list to assist seniors in determining if a reverse mortgage is a good fit for their situation. If you do not have enough equity in your home to cover home improvements, you may be able to get a loan through the FHA Title 1 loan program. For loans under $7,500, there is often no collateral required, so there would not be a new lien on your home. For larger loans, a lien is possible but there are limits on the length of the lien and conditions. Title 1 loans are available through any HUD-approved bank or financial institution. The application process is the same as when you applied for your original mortgage. After you’re approved for a Title 1 loan, you’ll pay it off with interest as you would with a regular mortgage. If you live in a single-family home, the maximum amount you can borrow is $25,000. Under the USDA, there is the Rural Repair and Rehabilitation Grant and Loan program. This program offers loans and grants in some cases, for those living in rural areas, or areas of less than 10,000 people. For the grant program, recipients must fall under income limit requirements, be at least 62 years old, and funds must be used for repairs or improvements for the purposes of health and safety. Also, should the home be sold within three years from the date of the grant, the government can recover grant funds from the sale of the home. The grant maximum is $7,500. Loans are available before 62 years of age and have a $20,000 maximum with a 20-year repayment limit at one percent interest. For remodeling projects that fall under energy efficiency or weatherization, low-income seniors may be able to access government grants to help cover part of the costs. Funds through the Weatherization Assistance Program (WAP) can assist with some home modifications relating to energy efficiency. While applications may vary some from state to state, in general, once the application is processed and eligibility confirmed, an energy audit will be conducted at your home and modification recommendations will be made based on that audit. These modifications will not include structural changes such as a new roof. For veterans, there are several programs through the VA that are available. Of course, like all things VA, your eligibility will depend on any disability rating and disability status, such as service-connected or non-service connected. Specially Adapted Housing (SAH) 2101a grants are available for those with certain service-connected disabilities that affect mobility. For the 2101a grant, the limit is $81,080 and has an alternative limit of $35,593 under the Temporary Residence Adaptation (TRA) program if the veteran is temporarily living with family members in a home that is not accessible. Specially Adapted Housing (SAH) 2101b grants are also intended for those with service-connected disabilities but focuses on blindness or loss of hands and some breathing disabilities. The maximum grant under this program is $16,217 or $6,355 under the TRA program. The Home Improvements and Structural Alterations (HISA) grant is for veterans without a service-connected disability and is intended to help with mobility and accessibility modifications to the home, specifically the bathroom. For this grant, a VA doctor’s prescription is required. For those without a service-connected disability, the grant limit is $2,000. If the veteran has a service-connected disability, the grant limit is $6,800. As the cost of long-term care grows, government agencies such as Medicare look for ways to reduce their costs. One of these ways is to increase the number of seniors aging in place instead of moving them into nursing homes. Home and Community Based Services (HCBS) waivers, although they may go by different names in some states, are programs through Medicaid that assist with some home modifications to allow low-income seniors to stay in their homes, since the modifications cost less for Medicare than a nursing home would cost. A few states have these benefits lumped under Medicaid Managed Care Programs but the HCBS benefits are grandfathered into these new programs. These programs are limited and may have a waiting list. However, if you qualify and make it through the wait list, these programs may cover items such as adaptive lighting, stair lifts, or accessible bathroom modifications.